When you are preparing to head to Europe for the first time, you will already be purchasing lots of materials to prepare for your departure. When you are preparing, you do not need to spend a ton of money all at once. For your first trip you don’t need top of the line sleeping bags, pads, and tents. It’s not essential. 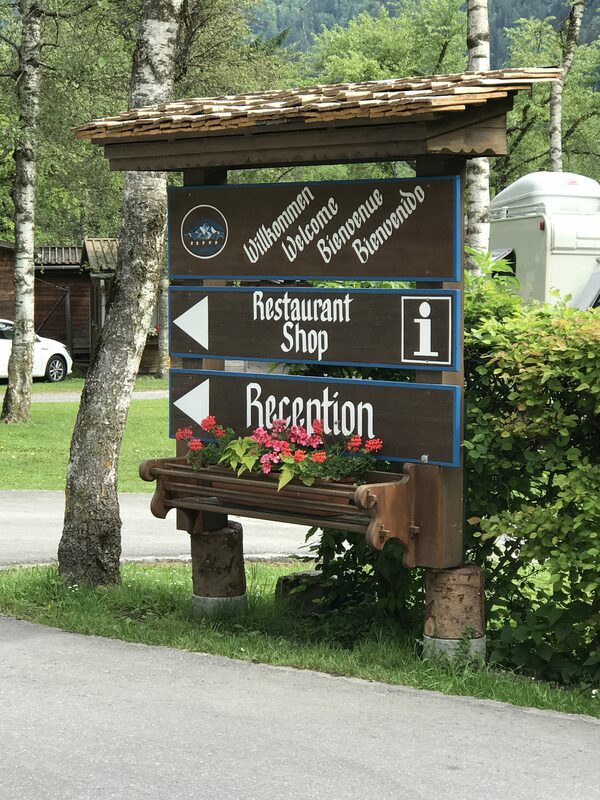 Instead, each time you go camping in Europe, you should invest a little more money into your experience. To start off, your big purchase really should just be the tents. After the first trip, you can begin to gift more expensive and lightweight pads, sleeping bags, and other materials. It is all a process! 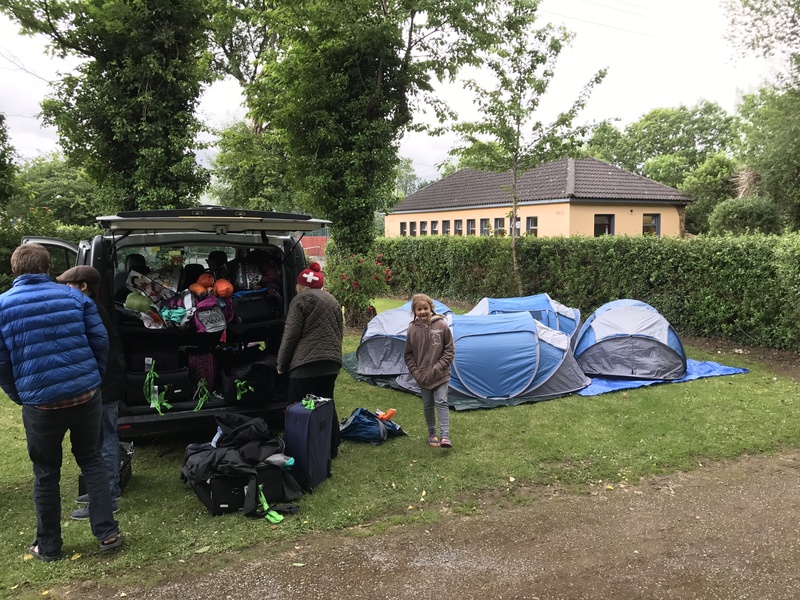 Here is a comprehensive outline of our materials we use for camping in Europe. Included in this list is what we did for our first few trips when we didn’t want to spend a ton of outside money on materials, and we also included a few things we have invested in over the years. Hopefully this guide gives you a good idea of what you will need! 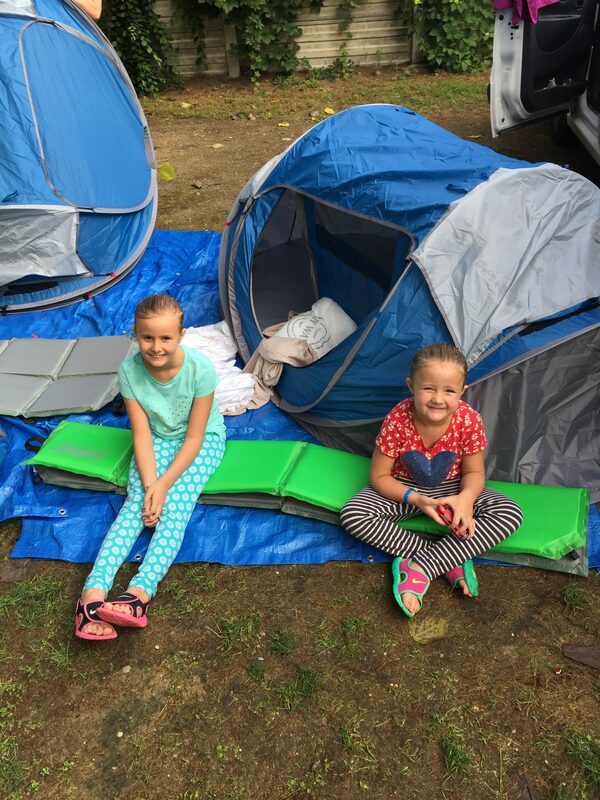 Our pop-up tents are what make camping in Europe possible for our family. What we camp with are four, (2) person tents. They are our best friend after a long day of walking around in a city or driving in the car, because they are so simple to set-up. Inside, there is plenty of room for two adults. In one of the tents, we also put three of our kids. Moral of the story: there is more than enough room! We also like that they bring a little bit of privacy (you can still hear each other but you don’t have to physically be with everyone). Find a similar tent here. 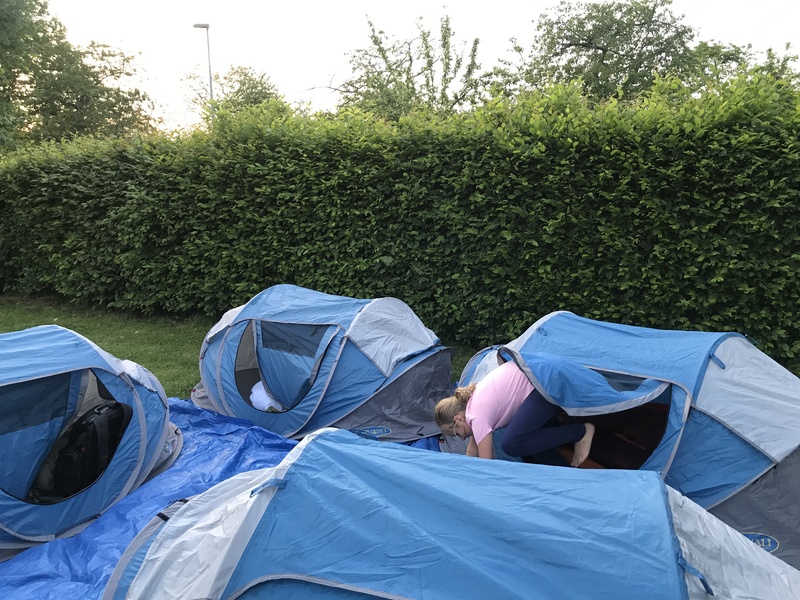 Note: every three or four trips to Europe, it might be best to replace your tents! 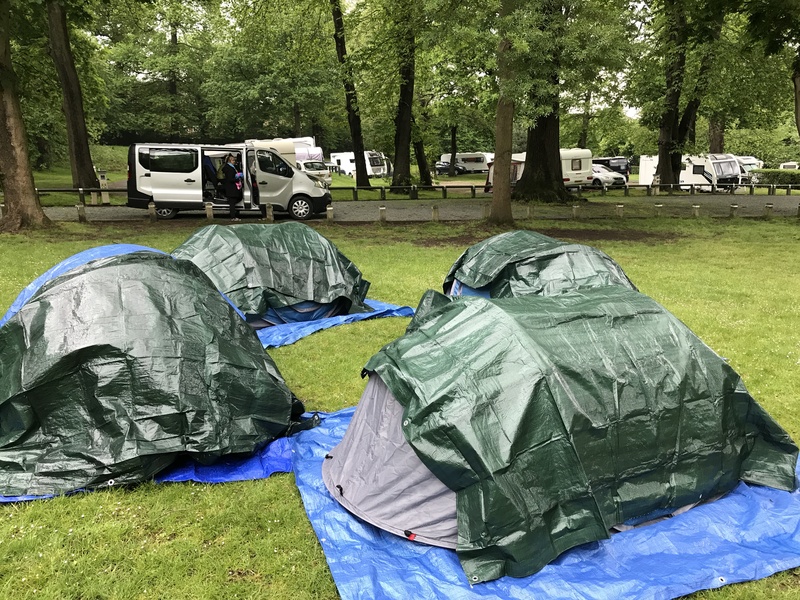 If you are planning on camping in Europe, it is not a matter of if you will get rained on, it is a matter of when you will get rained on. Camping in the rain is not as bad as it would seem. We have found that with our tents, as long as you don’t touch the edges and have a tarp below the tent and above the tent, we have stayed pretty dry. While we have woken up with a few wet spots sometimes, we have never woken up 100% drenched. It’s just part of the adventure. Tarps are also one of those things that you can find while you are in Europe. Don’t count on it though and bring them with you. We love small, cheap tarps that can easily be rolled up and fit in our suitcases. It is also a good idea to bring an extra tarp, just in case! Find similar tarps here or here. We have traveled with two kinds of pads. The first time we went to Europe, we bought these pads. In the end, we didn’t super love them, but they were pretty cheap compared to other pads and they did the trick. For the price, they fold down pretty small and if you are on a budget, they work great! Last year for Christmas, we gave our kids either these pads or these pads for our trip to Europe. These pads are way more expensive than our first pads, but they are amazing and really make things more comfortable. 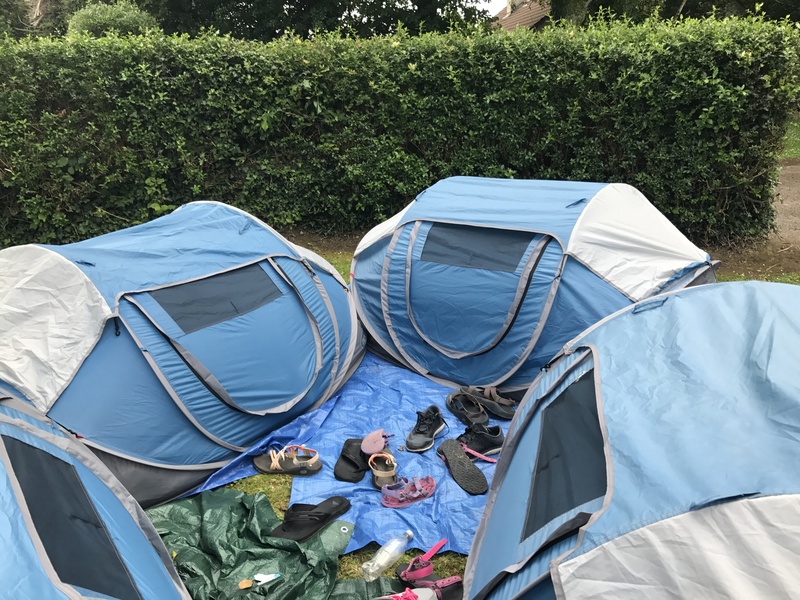 However, they are not essential for camping in Europe. Do what is best for your budget and slowly start to build up your band of equipment. Our first two trips to Europe, we did not bring sleeping bags with us. We just brought a ton of blankets with us and slept on top of the pads. 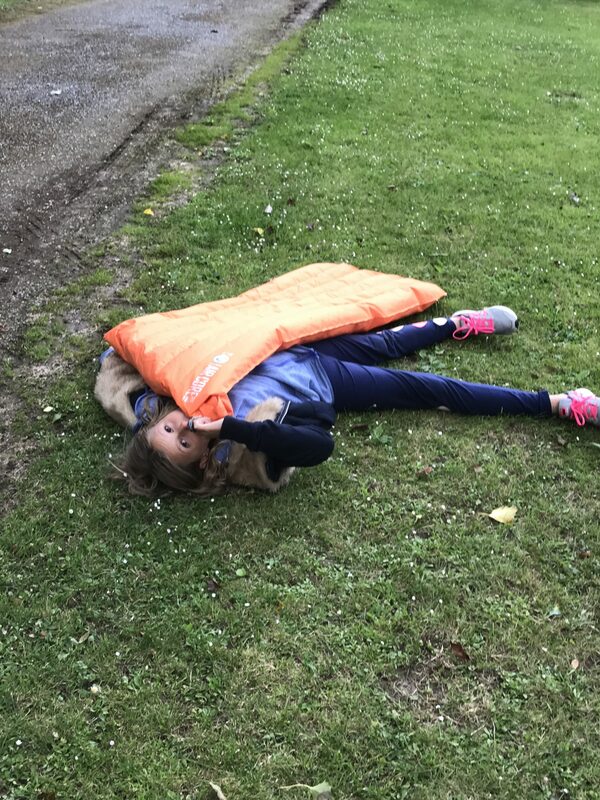 The sleeping bags that we had at home would not roll down small enough and we didn’t want to spend the money to replace them if we didn’t consider them essential. We just gathered up all of our blankets we had around the house. This was a great option because we didn’t have to spend a penny! While we did just fine without the sleeping bags and we think it is a great option, this last trip we decided to invest in sleeping bags. For our kid’s birthday, we got them these sleeping bags. 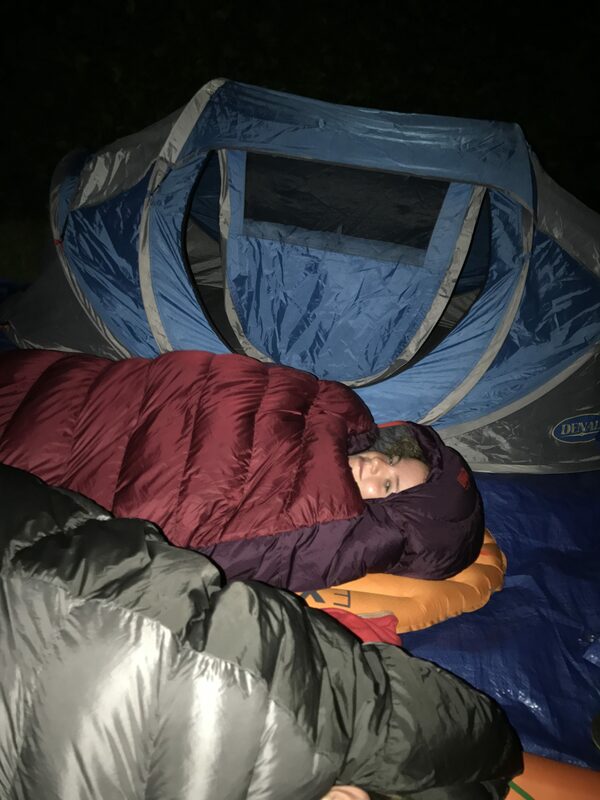 These sleeping bags are truly an investment and we plan on using them for many more years to come. However, if you are just starting out, use what you have at home! 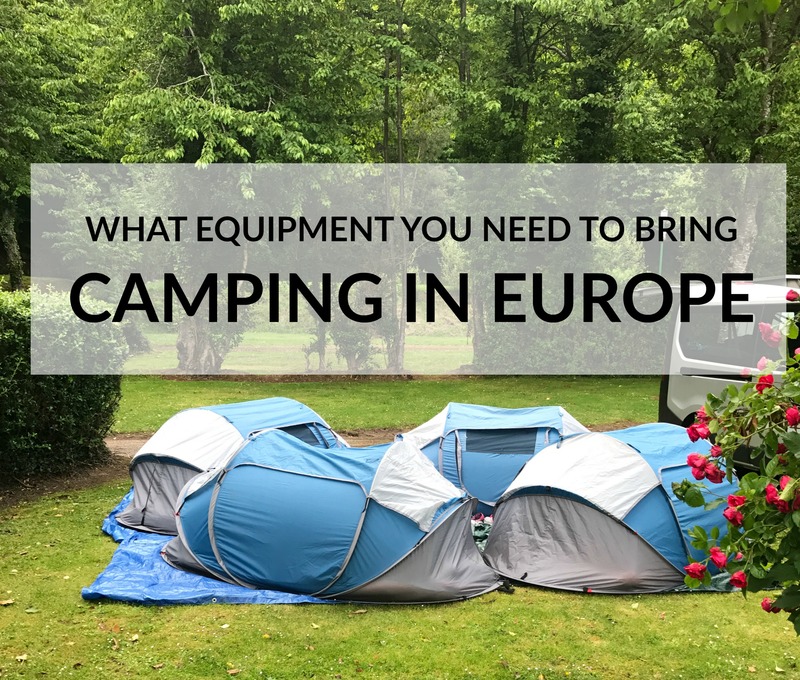 You don’t need expensive materials to camp in Europe! After buying our sleeping bags, we only carry very small blankets for the plane with us to Europe. Baby blankets are a really great size for traveling for everyone. These small blankets/baby blankets serve as our pillows for the trip. We don’t feel the need for pillows while we are camping but we know there are some people who do. Here and here are some great options for camping pillows, if that is something that you are interested in. Our daughter loves to bring some pocket-sized air freshener with her when she travels. It makes everything just more enjoyable. In addition, you might want some kind of way to hang a lantern or flashlight in the tent. Whether that is a little piece of rope or a hook, it will make your life a little easier! 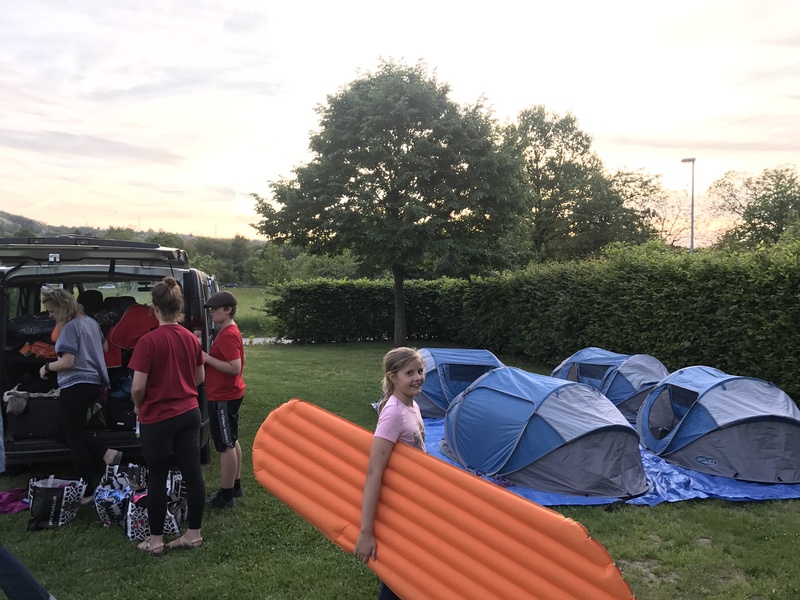 Good luck with your preparations as you begin to prepare for your European camping adventure. 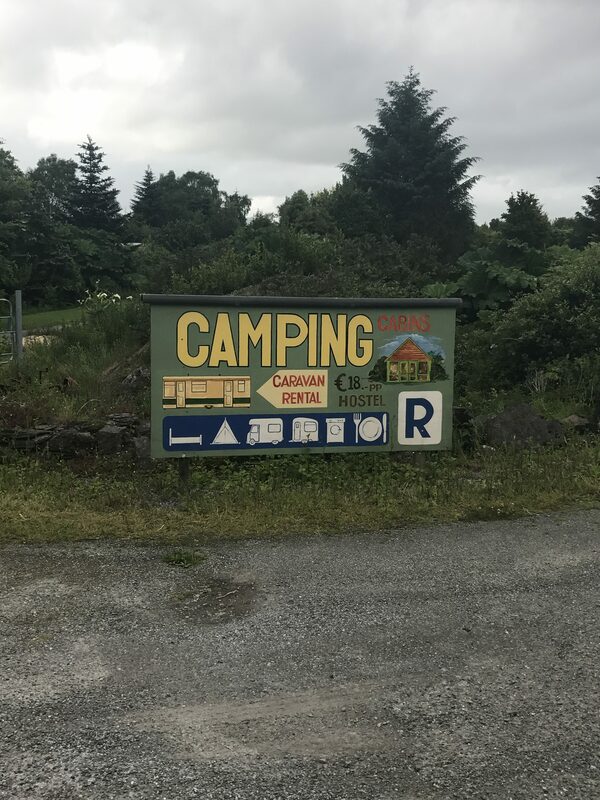 If you have any questions, leave a comment or shoot us an email at europeanfamilycamping@gmail.com and we will be happy to answer them!